We say we don’t like repeats, but that’s only when it comes to TV episodes. On the behavior front, humans are creatures of deep habit, from buying the same brand of cereal to sitting in the same chair at the favorite restaurant. It’s even true with behaviors we don’t like, such as stress or chronic overload. The tendency is to keep doing things that drive stress and overwhelm, instead of making changes. It’s called adaptation. Humans are experts at molding themselves to conditions at hand. We adapt to chronic stress with the aid of adrenaline or an out-of-whack personal life, setting up a date with burnout and worse. We tell ourselves we are too busy to stop for a second or do anything different. Those are false beliefs, a byproduct of the stress response. There’s always time for a better approach, one that could get more done in less time or manage a schedule better. Luckily, it’s possible to exit the rut by tapping in to our very own core human needs for self-determination and progress. Researchers have found that we all have a powerful need to determine our own scripts and that helplessness is not our style. Those with the highest job satisfaction are people who feel a sense of progress in their work, which is largely the result of doing things that gratify self-determination needs such as autonomy and competence. We can’t wait for these needs to satisfy themselves. We have to be proactive to make it happen. The way forward comes through knowledge and education, from strategies to change the reflex of repeat mechancial momentum. One of the most convenient ways to do this is through online classes. You don’t have to get in the car, hire a babysitter, or fight traffic. Our new online work-life balance classes give you five courses to help you do what your brain wants—move forward and put the overwhelm, stress or burnout in the rear-view mirror. Take your pick from work-life balance classes, stress management, time management, information management, or an inspiring life balance course. “The Missing Piece of Happiness.” Based on my book, Don’t Miss Your Life, the program shows through the science how to activate the most gratifying life outside the job. I teach these programs in my employee development work for organizations from IBM to Kellogg’s and Budweiser, but the vast majority of people in the U.S. or around the world don’t have access to training programs where they work or live. Now anyone can log in to one of our Webex classes and get tools virtually to make dramatic improvement in their work and lives. 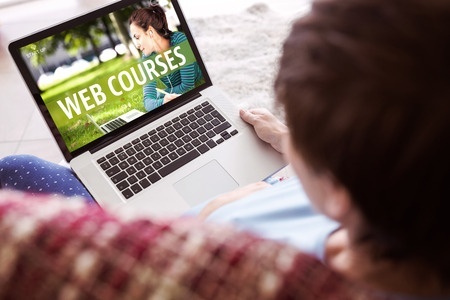 You can take a single class or put together a training series with multiple courses. It’s hard to be balanced with your eyes closed, and that’s effectively what’s happening when we are not paying attention to how we work. It’s how we work—acting before thinking, time frenzy, doing more than we can do well—that’s at the bottom of unbalanced world. This class shows how to make the adjustments the science says make work and life less difficult, by setting boundaries, managing demands and devices, building attention and refueling and recharging the batteries. You learn how to get control of an out-of-control world and put your life and personal responsibilities on the calendar at the same time. Stress is optional. It’s your reaction to what someone says or does, the story you tell yourself about the stressful event, that drives the stress. That’s great news, because it’s something we have the power to change. This class shows you how to manage stress, eliminate burnout triggers, and prevent the false alarm of stress from wreaking havoc on your thinking, health, and life. Five out of the six leading causes of death have stress as a factor, as well as some 75% of doctor visits. Learn how to turn off the danger signal of stress and manage any challenge. Most people I talk to these days are drowning in a flood of unbounded devices and demands. Studies show a vast number of people today feel overwhelmed by their workload. The feeling that things are out of control is one of the easiest triggers for the stress response. This class shows how to get control over events and cut stress and overwhelm by setting boundaries on the incoming and developing essential time management skills. One Harvard study shows that boundaries are a success tool. They are the most basic piece of self-management. This class shows how to put them into action, separate the urgent from the important, build better time estimation, manage interruptions, and control devices and intrusions. No matter what industry you are in, your real business these days is the clicking business, triaging through a siege of email, IMs, texts, and WhatsApp messages. Researchers have identified great ways to manage our messaging better, and we learn their secrets here. This course provides strategies to set the terms of engagement with devices, manage interruptions and distractions, and cut down on the time spent dealing with email and messaging run amok. Learn how to create the most productive email checking schedules, reduce email volume, and restore sanity. The other side of the work-life hyphen, life, gets lost in the shuffle, crowded out by more “important” things, but researchers tell us that nothing succeeds like recess—through engaged experiences. This class explores the skill-set of living the fullest life. We learn through the sciences of happiness, optimal experience, and intrinsic motivation that experiences make us happier than material things. You are as happy as the most recent positive and novel event you can remember. The power of now is 100% within the moment of active recreation, play, and fun. It requires the opposite skills of the work mind—from risk-taking to not caring about the result, to turning on the self-propulsion engine of mastery. The weight of habit can keep us grinding through a routine that outlived its usefulness long ago, if it ever had one. The law of least effort, another human wont, would have us believe that changing anything would be more work, even though it would have the opposite effect. The “I’m too busy mindset” is notorious for closing out better options. Don’t fall for it. The skills we teach in our online work-life balance classes are what lead to real least effort—a more productive way to work. And a more gratifying way to live. The route to the self-determined life we’re wired to lead is a participant path. If you are interested in a proactive step to learn more about our online classes, click the button below for details on our work-life balance class and visit here at our nline classes page.